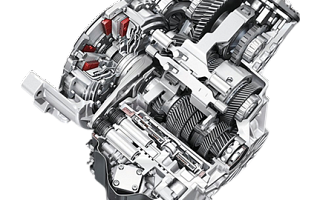 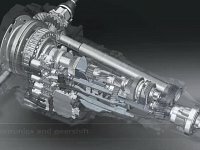 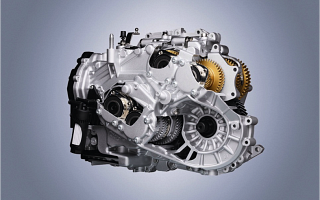 The dual-clutch gearbox 0B5 provides a special driving experience. 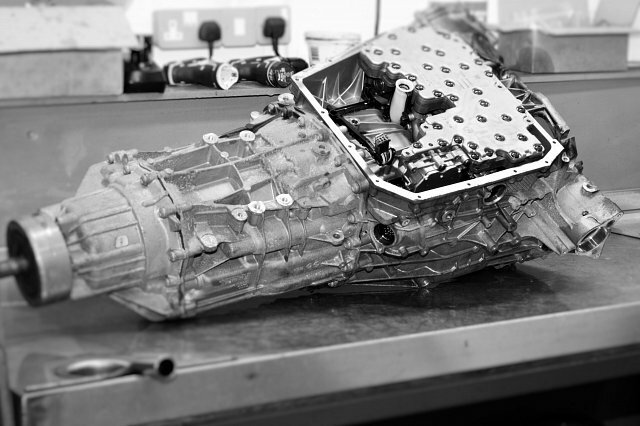 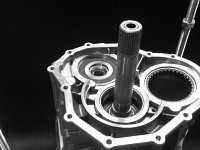 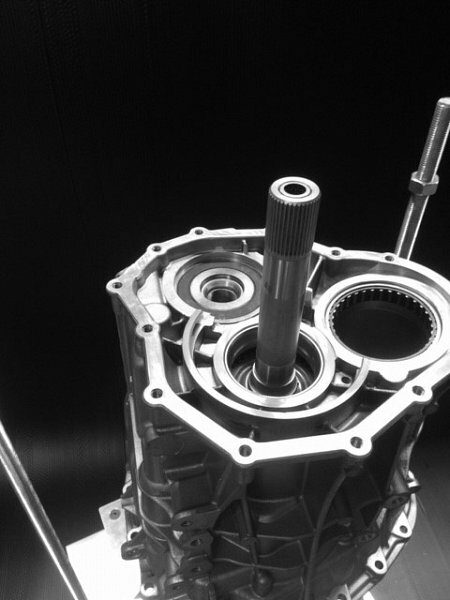 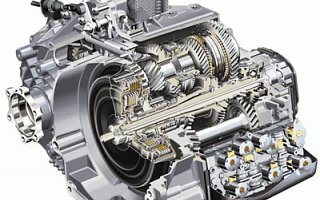 Sub-gearbox 1 The odd numbered gears (1, 3, 5, 7) can be driven through the central input shaft 1 by clutch K1. 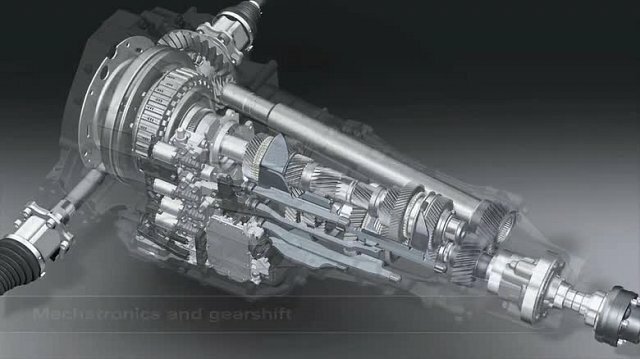 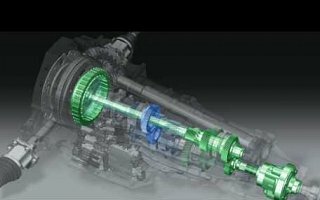 Sub-gearbox 2 The even numbered gears (2, 4, 6) and the reverse gear can be driven through input shaft 2 (a hollow shaft) by clutch K2. 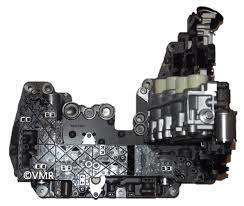 The mechatronic system acts as the central gearbox control unit. 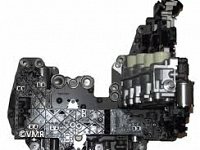 It combines the electro-hydraulic control unit (actuators), the electronic control unit and some of the sensors into a single unit. 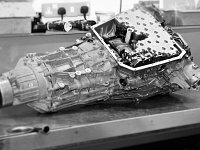 On account of the longitudinal configuration, the rpm sensors of both gearbox input shafts and the gear sensor are located on a separate mounting bracket.